Elizabeth Overfield enjoys the company of Colin Handrich, but she is nine years older than him. However, they find themselves ensnared in a romance that forces the two to question what they are willing to sacrifice for love. . .
Sign me up to receive news about Mary Balogh. At first I loooooved this book. I adored the chemistry between Elizabeth and Colin. They were so bantery and fun. It was so festive that it took place partly at Christmas as well! I thought that their age difference was really kind of appealing... but then at some point it became kind of convoluted and overly dramatic for me. So much mis-communication and thing after thing put in their way. Any sort of passion or chemistry that they had felt diminished by the end of the book, which was such a bummer. Which is crazy, because the whole waltzing thing was so sort of fun and there was so much chemistry! I was really hoping to love this one, but I didn't love it nearly as much as the other books in the series. Penguin First to read ARC. Rating: 4 of 5 stars. Elizabeth doesn't know what to do. She really likes Colin but he's younger than her. Another adventure for the Westcott tribe, both friends and family. Who can you trust? How do you when you found someone to trust with not only your life but with your heart? I love the premise of this book so much, but unfortunately the author's voice/writing doesn't work for me. I wasn't able to finish this. I've been looking forward to reading this book for a long time. I think it's great that the heroine/hero pairing is an unusual one. It makes it all the more fun to read. 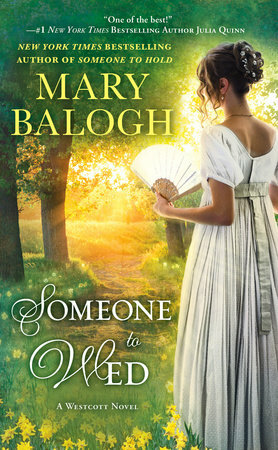 Mary Balogh's novels are an auto-buy for me! Utterly Charming. I haven't read a Mary Balogh book in a number of years. I'm happy to say this one didn't disappoint. Elizabeth Overfield, a widower, strikes up a friendship with Colin Handrich, Lord Hodges. Colin and Elizabeth both decide they are ready to give marriage a try. Once the ton learns Colin is in the market for a bride they throw their daughters at him. He turns to Elizabeth for advice. Elizabeth in the mean time turns to an old suitor. Colin's difficult mother gets wind of his bride search and plots and schemes behind the scenes, trying to manipulate the situation. A potential scandal threatens Elizabeth's reputation. How will she handle the situation? Will Colin come to the rescue? Will they break the ton's rules and find true happiness? I love Mary Balogh's writing. She draws you in and keeps you involved with the characters. I have been enjoying this series and this next chapter is wonderful. I highly recommend you start with the first book and immerse yourself into the world Mary Balogh created, you won't be disappointed. Unfortunately this book was not for me. After several attempts to read it I couldn't get past the first few pages. 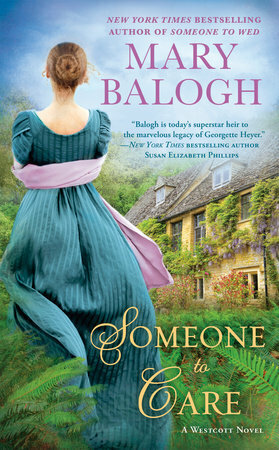 Thank you First To Read for giving the chance to read an advanced copy of Someone To Trust by Mary Balogh. Family Christmas festivities are taking place at Brambledean Court after the wedding of Viola and Marcel. The author mixes the past and present effortlessly so any reader new the series will be able to catch up with all the characters and happenings. Colin Handrich, Lord Hodges is a twenty-six year old, very eligible bachelor. He is attending since his sister, Wren is holding the festivities. Elizabeth Overfield, Alexander’s Sister and Wren’s sister-in-Law is a widowed woman who is thirty-five years old. Colin and Elizabeth develop an undeniable chemistry between them. But the ton frowns upon a relationship between an older woman and younger man. This is a very lovely story of what it means to truly love plus the sacrifices we make for those we love. It shows how a true love can transcend the gossip of lathers. Written beautifully and packed with a lot of emotion. I volunteered to read Someone to Trust. Thanks to Penguin’s First-to-Read Program for the opportunity. My opinion is my own. Someone to Trust was a bit chaotic at the start, but after sorting through the characters I started to find my way. Mary Balogh brings up a concept that always seems to pop up with varying views and expands it into another line of the Westcott family. What fun to start with a Christmas family gathering to drift into life not quite as expected. Thank You First to read for this interesting read. I knew going in to this that it seemed to be midway through an existing series. I have not read any of the books prior and I'm sure that would have been helpful as there is an elaborate and intertwined cast of characters that I had a tough time following but would probably make sense if you had followed this from the beginning of the series. I also tried to push myself on genre with this book, this isn't a type of book that I normally read but I love the period so thought I'd try it out. There were parts of it that I enjoyed but it had a little of a "soap opera" flow for my tastes. Things moved very slowly and it didn't seem like much was happening. The writing was pleasant and easy to read but it just wasn't quite my cup of tea. First a kiss. Then a dance. Then a promise for a waltz at every ball during the coming Season. How did it all start? It is Christmas at Brambledean Court and Alexander Westcott, Earl of Riverdale, has invited quite a few family members to enjoy the festivities immediately after the wedding of Viola and Marcel. If you have read the previous stories in the Westcott Series you will be familiar with other newly marrieds, Anna and Avery, Camille and Joel, Alexander and Wren, as well as a host of other relatives. During the first several chapters, the author explains how everyone is connected. Colin Handrich, Lord Hodges, is twenty-six years old, and is Wren’s brother, who is now married to Alexander. Colin has quite a fondness for Elizabeth Overfield, Alexander’s sister. Elizabeth is nine years Colin’s senior. If not for her age, Colin can easily see himself falling in love with her. She is the most beautiful woman he has ever met. He sees her down to her very soul. Elizabeth wants to be happy. After all, she just witnessed the wonderful wedding of Viola and Marcel. And, it is the holidays, yet Elizabeth is rather melancholy and bit depressed. Elizabeth thought she had at one time found the love of her life. However, it was a marriage that was mostly miserable and her husband eventually died due to his drinking. Elizabeth is truly happy for the bride and groom and hopes from the depths of her heart that they find true contentment and joy forever. However, she is sadly filled with envy and loneliness. While observing the four recently married couples over the past two years and noticing their incredible happiness, Elizabeth wonders if she herself should remarry. After all, she has had offers. If she married for the sake of companionship, would she be able to stave off her loneliness? Colin also wonders about marriage. He has a title and wealth, and he knows that he must soon search for a bride. During their time with the family at the holidays, Colin feels quite drawn to Elizabeth. He jokes to her that perhaps they should marry. She looks at him in shock. They suit in temperament, likes and attraction. There is an obvious problem, however, their age difference. The ton would never stand for it. As the Season approaches, Colin and Elizabeth have much to look forward to. At the very least, it is the promise to dance the first waltz at each ball. Meanwhile Elizabeth has been contemplating a previously made offer for marriage. Colin begins to observe the young women present and wonders which of them might make a bride for him, someone that he can love. He will accept nothing less. This fifth book in the series is rich with wonderful, happy characters that make a large blended family. We are re-introduced to a character from a previous book who is not so wonderful but does have a role that affects the decisions that Colin and Elizabeth eventually must make. Someone to Trust is a truly wonderful love story. Mary Balogh tells this tale quite beautifully and it is very easy to fall in love with the main characters. It is delivered in a great fashion and makes a perfect companion to the previous titles. I definitely look forward to future books in this series. Many thanks to Berkley Books and First to Read for this ARC in exchange for my honest opinion. 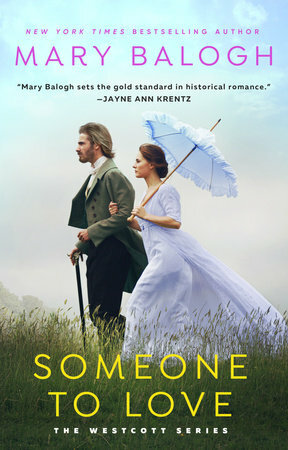 I usually love to read a Mary Balogh book, and I did enjoy this one, but it wasn't a favorite. I found it a little slow going through most the book. I have read a few of the others in this series, but this one can be read as a stand alone. Despite owning the rest of this series, this is the first book in the series that I've actually read. It worked well as a stand-alone although I sometimes had trouble remembering how everyone was related. Luckily the author puts a family tree in the beginning of the book to help with that. I found this to be a sweet friends to lover with the only real conflict being the fact that the heroine is nine years older than the hero. I loved both the hero and heroine. The way they made each other happy and the way the hero made sure the heroine knew he wanted to be her equal partner in the relationship was touching. It's perfect if you want a heart-warming, low angst Christmas story. I love anything that Mary Balogh writes, and this tale is no exception. The Regency period is one of my favorites, and it was great reading a story where the woman is nine years older than the man (especially since I am 10 years older than my husband!!). Looking forward to many more stories from this author. After reading all of Mary Balogh's books, I have found that they are now a bit slow for me. I decided to give her one last try with this book, but I just have such a hard getting into them. I liked the idea of an older heroine with a younger man, but as I've noticed in her books the last several years, I just don't feel their passion. They make me think of Elinor in "Sense and Sensibility," as she describes her feelings for Edward. "I do not attempt to deny that I think very highly of him -- that I greatly esteem him, that I like him." I'm with Marianne. It's cold! I am a big fan of Mary Balogh, I've read a big chunk of her back list and I think this is the 2nd or 3rd I've read from this series. Unfortunately, it wasn't my favorite. I felt like it moved very slowly and I never felt as invested in the characters as I'm accustomed to with Balogh. I do like the concept of an older woman and a younger man though, and I did get through the book so I could see how it ended! This is my second Mary Balogh book and i truly enjoyed it. The main characters are all really well developed and really likeable- you just really wanted to root for them. I absolutely loved that the heroine was older and the hero was younger. The author really makes you think about what society finds acceptable for men vs women. My only criticism is that the beginning was a bit slow, but it was totally worth pushing through. I will certainly be going back and reading more by this author. This was a warm, gentle historical romance. 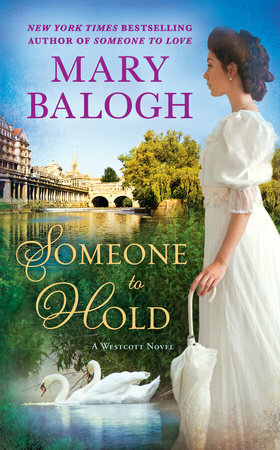 If you are a fan of Mary Balogh, you will encounter many characters you are familiar with, from the Westcott family. If you have not read Mary Balogh, you will meet characters and want to know more about their stories. I had not read any books by Balogh before, and, while I was able to read this as a stand-alone, I am interested in the other characters and their stories. I found Elizabeth and Colin's romance to be quiet and gentle. It's comfortable, cozy romance. They had a spark for the first and had to work through some personal beliefs that were potentially keeping them apart. All in all, an enjoyable read. I love Mary Balogh and I love this series. Avery, from the first book, will always be my favorite, but Someone to Trust is definitely a close second. Colin is just so delicious and so obviously head over heels for Elizabeth. I love the set up of a waltz at each ball and the way they look forward to it so much while completely denying their attraction. This is the perfect type of slow build that is my very favorite kind of romance. The conflict is both internal (their age difference and Elizabeth's past) and also external and it is perfectly balanced and realistic. Reading this makes me want to go back and reread the entire series, and to preorder my own copy of Someone to Trust so I can read it again. 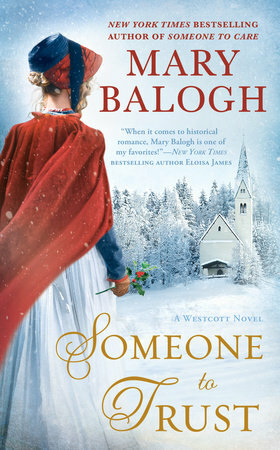 Someone to Trust is the fifth book in the Wescott series by Mary Balogh. This one tells the story of Elizabeth, Lady Overfield and Colin, Lord Hodges. I'm a fan of Ms Balogh's work. Her stories are always very well written and romance is always upfront in her stories. Each book in this series tells the story of a very unique heroine. In this one, Elizabeth is a widow who is nine years older than Colin. The story starts with them getting together again with their families to celebrate Christmas. It is during these days that they realize that there is something building up between them. I liked how his feelings for her were described. Ever since he met her he has held Elizabeth in very high esteem. For Elizabeth, she felt it too, but the age difference made it difficult for her to accept it. Because of her past she had a difficult time trusting her feelings and her actions. Therefore throughout the story trust in each other becomes very important. We also see many characters from the previous books and the one who takes the prize for mom of the year is Colin's mother. She was a horrible mother and the things she has done to her kids through out the series is unforgivable. Maybe later in the series she will be redeemed. I'm looking forwards to the next book in the series! There are some things you can absolutely count on with a Mary Balogh novel. They are very much in evidence in Someone to Trust. For instance, the hero is always strong, reliable, and caring, The hero, Colin Handrich, Lord Hodges, is just such a young man. The heroine is usually a self sufficient young lady who overcomes personal trials of various sorts without faulting. Elizabeth Overfield, a calm, self- possessed young widow who has weathered some pretty awful storms in her life. It would seem that these two would be made for each other but the difference of 9 years throws thoughts of an alliance out the window. Reading this book takes you into the lives of these two very likable people as they deal with their growing attraction and overcome the hardships that had been handed them. I must confess that there was a point in the book when I was afraid to continue reading because I felt so sure that Elizabeth was making a huge mistake. However in the end, I found this book to be most satisfying. I am an nabashed Balogh fan! Not so much for the story lines (they are pretty much all alike!) but more for her thoughtful understanding of the characters she invents and how most of them see their world. The plots are predictable: Introduction, a glimpse of complication to come, the actual complication, a further complication, the resolution and happy ending! Someone to Trust does not disappoint! We have already met and liked Elizabeth in a prior novel. This story, however is hers! The twist (complication!) is that she falls in love with a much younger man. Be sssured the two of them work it out!